SM City Manila maybe among the smallest SM Malls in the metro but since it is located at the heart of the country's capital, it is one of the good malls to rediscover not only for shopping but also for casual dining. 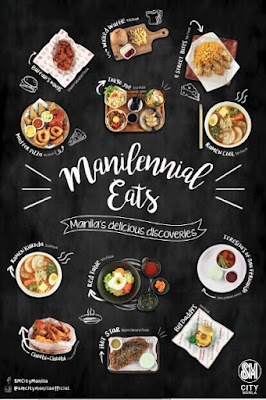 Just recently, The Eatventurers joined other bloggers of Manila to take on a food crawl in 12 restaurants in SM Manila. We enjoyed exploring the millennial eats and surprised of the treats each offered.